Also see this post about prototyping custom meeples. If you’re creating a board game Kickstarter project, it’s really important to send out prototypes to third-party reviewers (make sure to read this and this) well before the campaign starts so backers can have an unbiased opinion upon which to base their pledge. It instills confidence in a backer, even if the review isn’t 100% positive. Reviewers are pretty forgiving when it comes to the quality of the prototypes–they understand that one of the reasons you’re putting the game on Kickstarter is to raise money for nice art and graphic design. But the quality of the cards themselves can make a big difference. Thus I invited a game designer friend to share his wealth of knowledge about card prototyping here. 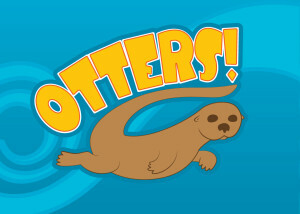 Michael actually let me write a guest post on his blog ages ago during my Viticulture KS campaign, so I was happy to invite him here during his current Kickstarter campaign for a light kids game called Otters. Thanks Michael! You can take it from here. If you design board games, you probably are going to need prototype cards at some point. I’ve tried a wide variety of card prototyping methods, and Jamey has been kind enough to give me a forum to tell you about my experiences in order to help our fellow designers with their own design processes. The absolute easiest way to test out a game that requires cards is to use cards that you already have from another game – most likely a standard deck of playing cards. For instance, when I was first testing my game Otters, I just grabbed a couple of decks of poker cards. 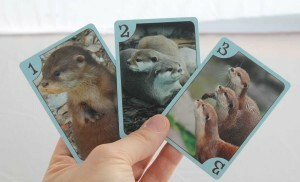 The game consists of otter cards of value 1, 2 and 3 plus some playground cards that go from 2 to 10 in value. It was easy enough for me to pull out some aces (ones), twos and threes to represent otter cards and other number cards to represent the lakes, just to see if this would work at all. I did the same thing with another design I’m working on for a game called Mansion Builder; I gave each player their own suit with ace through ten to represent their bidding cards. Finally, while I haven’t actually gone this direction myself, you could even use a lookup table for customized cards. You could write down translations for what each poker card represents, such as “Ace of spades = Vampire lord, two of spades = zombie thrall…” It would be a bit of a pain in play, but you only need to make a single lookup sheet, which would be easy to change (especially if you do it in a spreadsheet). This is really only usable for solo playtesting or testing with VERY patient friends. Advantage: Zero crafting work. You already have these on hand. Disadvantage: Zero customization, unless you’re willing to do the lookup table. Really only works well if your game just requires small numbers and a few “suits”. This is where a lot of designers start: Grab a stack of index cards or business cards that have blank backs, and start scribbling on them. Just write directly on the card. Feel free to use different colored markers or even crayons or colored pencils as needed. I haven’t actually used this approach myself, mainly because I tend to skip to the next approach. Advantage: No technology required. Easy to change individual cards. Fairly inexpensive. Disadvantage: Time consuming (you need to write each card one by one), especially if you want to make multiple sets. Not great for shuffling. If your handwriting is as bad as mine, these are also going to be ugly. This is many game designers’ bread and butter card prototype: Make an Excel spreadsheet (or word processing document or image file) with text (or even images) of your cards, print it out, cut the slips of paper apart, and put them in sleeves with Magic cards or other game cards. This is the method I used for the first version of what became Chaos & Alchemy, as well as pretty much every design I’ve done so far. Advantage: Quick (assuming you’re comfortable with something like Excel, especially is you already have a template like this one to use). Easy to change numbers on a bunch of cards at once. Can be pretty if you want to invest the time. Fairly inexpensive (especially if you already have sleeved cards). Pretty easy to shuffle and play with. Easy to make in large numbers. Can change individual cards on the fly with a pen. Disadvantage: Requires a computer (so less useful “in the field”). Not for the technophobe. Requires card sleeves (reusable, but there’s a cost if you don’t have them). Much easier if you invest in a good paper cutter. A bit time consuming to cut and sleeve all those cards. Some people don’t like shuffling sleeved cards (they’re a bit thick). This is an approach that I know many designers use, but I don’t. You can print directly onto heavy card stock, cut the cards up, perhaps round get corners, and call it a day. The only time I’ve personally used this approach was for playtesting Jamey’s upcoming Viticulture expansion (Viticultures uses mini cards, which don’t lend themselves well to sleeves or direct printing on blank cards, since I don’t have blank mini cards). Advantage: Doesn’t require sleeves, stickers or blank cards, so it’s inexpensive. Can be very nice looking. Usable with any size of cards. Pretty quick and simple to print and cut. Disadvantage: You need the right card stock if you want shuffling to feel good. Rounding corners is fiddly, but if you don’t do it the cards will feel a bit weird. Unless you’re more precise than I am, the cards will be slightly different sizes. Now we’re getting fancy. When I was testing Alchemy Bazaar in 2013, I wanted nicer-looking cards, so I ordered a bunch of blank Avery name badge labels on Amazon and a bunch of blank playing cards from The Game Crafter. I used the Avery Word template to create a Photoshop template for my cards, and I started putting nicer-looking icons in the cards. I printed them on a color inkjet printer, peeled off the labels and stuck them on the cards. Advantage: Nice-looking. Thinner cards than you get with sleeves. Fairly easy. No need for sleeves or a paper cutter. Good shuffling experience. Disadvantage: Expensive (mostly for the stickers, less so for the blank cards). Similarly time consuming to sleeving. More time consuming to create the files if you’re going graphic-heavy (unless you’re an InDesign whiz, which I am not). Shuffling can feel just a bit weird, especially if you put new stickers over old ones. This has replaced the stickers for me. I’ve figured out (after many false starts) how to print directly onto blank cards (the tutorial is here). I can do everything that I can do with stickers, but better. This is how I make my nice-looking prototypes now. I even made my own version of Hanabi when it was out of print (I’ve since bought the real game). Advantage: Looks fantastic. Saves the cost of labels. Can even print custom backs if you want. Can still do it at home. Disadvantage: Tricky to get your template set up just so. A bit time consuming and fiddly. You do need to order blank cards first. This is for when you’re getting serious about your prototype, or when you’re actually ready to sell your game. I’ve personally used two different POD services so far, and I’ve played with cards from a third. I’ll go through each of them in a bit of detail. I’ll note that the basic advantages and disadvantages of all of these POD services compared to the DIY approaches above are similar. With POD, you’ll get a much better looking product, typically of a quality that you could actually sell, but at a higher cost and a much slower turnaround time compared to doing it yourself. You’ll also have to be comfortable enough with image editing software to get your files in the format that the POD company uses. I love these guys. They print fantastic looking cards with quick turnaround, clear pricing and excellent customer service. This is my manufacturer for the review copies of Otters (and likely for the full print run, unless I end up printing a LOT of copies). Advantage: Very fair price (especially if you’re ordering 5,000+ cards at a time, which is less than 100 standard poker decks). Can have decks with any number of cards. Great quality product. Great customer service. Quick turnaround. You can sell your game directly via their web site if you want to. Disadvantage: They ONLY do cards – no tuck boxes, no rule sheets, no other game components. Their particular PDF format is a bit weird (my graphic designer had a hard time getting the files in the exact format DriveThruCards wanted). I used these guys for the first edition of Chaos & Alchemy. Advantage: Great quality cards. Reasonable prices. They do have an option for tuck boxes and rule sheets (though I didn’t actually use them). Disadvantage: Terrible, horrible, no-good, very-bad customer service. Really, it’s abysmal. I flat-out will not do business with them again. Way too many delays, poor communication, etc. Limited non-card component option. You have to make your decks in multiples of 18 cards. Oh and bad customer service – did I mention that? While I haven’t used them myself, I have played prototypes with their cards. Advantage: Good quality cards. Options for any game component you want, including real two-piece game boxes of a few different sizes (this is rare to find). Good reputation and a good community of designers surrounding the site. You can sell your game directly through the site. Disadvantage: A bit pricey. Quality of non-card components can feel a little flimsy (such as boards and boxes). Turnaround isn’t quite as quick as DriveThruCards. Step 0: If the game can easily be tested with normal playing cards, start there to work out very rough mechanics. Not applicable to all designs. Step 1: Excel spreadsheet, printed, cut up, inserted into sleeves with Magic cards. This is where the bulk of my design work happens. Step 2: Print directly on cards when I want nice-looking prototypes to send to blind playtesters demonstrate at conventions or pitch to publishers. Step 3: Go with DriveThruCards to print final review copies or actual print runs of my games. I hope this helps other designers with their own card prototyping process. 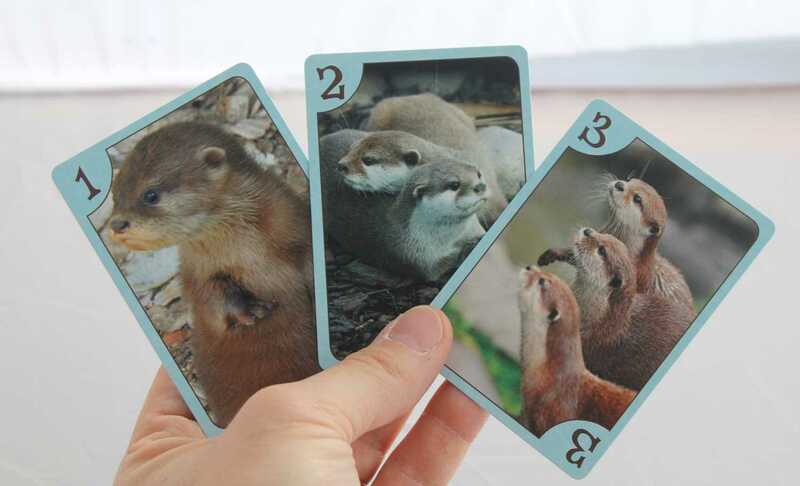 And I hope you’ll take a look at my kid-friendly card game Otters, which is on Kickstarter for most of the month of February 2014! Feel free to reach out to me on Twitter as @ClayCrucible, on Facebook at Facebook.com/ClayCrucibleGames, on my on site as ClayCrucible.com, or via email at ClayCrucible@gmail.com. I’ve used 2 services for printing out cards for game variants and such. Spoiler – I like PrinterStudio way more ^^. Artscow – They make fairly good cards, but I can tell them apart from the ones in proper games, they just don’t feel as nice. I’ve mostly had good service, but there was one deck of cards that I was told there was some issue with 2 of them in the deck, and they for some stupid reason couldn’t sort it, or even just exclude those 2 cards when I asked, bleh. PrinterStudio – I’m very pleased with the set of cards I got from PrinterStudio. You can get them in various quantities up to 236 at a time, and the linen finish is awesome. The quality is pretty much what I’d expect from any good game. I’ve used both DriveThruCards (DTC) and The Game Crafter (TGC) and liked both of them, but I’m in agreement that DTC is much harder to work with if you don’t have a designer experienced with the vagaries of prepress, print proofing, and desktop publishing software. It is a _pain_ to assemble until you’ve got a template of your own put together. Proofing for ink coverage is a pain, and chances are you’ll either be mucking around in every piece of art in Photoshop (and it CAN’T be GIMP, because GIMP doesn’t have the level of 4-color support necessary) to make the blacks the _exact right kind_ of black. The price is competitive with TGC, especially since DTC dropped prices on their premium card stock. TGC is much easier to assemble–they take RGB images and do the color conversion work on their end, and their output is pretty close to what you see on screen. (I started with four-color files and converted to sRGB.) You can upload one file and apply it as a common card back, and you can build custom decks just by uploading a card front and punching in the number of how many cards with that front you want. Very slick and easy. The cards are decent but not as good as DTC. TGC’s are a hair thicker, and you can see that the art is printed directly on the card stock, with a sort of laser-toner semigloss finish–it’s especially evident on cards with white on them, as you can see the difference in gloss and a slightly raised edge between the printed and unprinted areas. DTC’s are coated to look even and flat in comparison. TGC’s cards don’t wear quite as well as the DTC, either, especially between the trim and edges. TGC’s tuck boxes are great for short runs though, and ship shrinkwrapped. If you do cards, a box, and a booklet all with TGC, the boxes you get are basically ready for retail (you could feasibly ship them direct to retail, actually). DTC’s cards just come with a wide plastic band wrapped around them and a front card with the job ID on them, so you’ll have to box them yourself. TGC ships unboxed decks in plastic baggies, and both boxed and unboxed decks ship with paper padding. DTC shipped decks with very little padding (and maybe none if I remember correctly), and a couple of the decks had some marking on the back card from shipping wear. Personally, I’d go with any of the homemade prototypes for initial playtesting; DTC for prototypes you send to playtesters once the deck is more nailed down, and to publishers for pitches (after getting a proofed deck); and TGC for finished games that need very short retail runs, and games to ship to reviewers. I’d consider DTC for short production runs if we could find a competitive local tuck box maker–not sure I’d combine DTC and TGC and double-dip on shipping. I’ve also heard good things about AdMagic, who apparently print Cards Against Humanity but came up to me through my wife’s ad agency contacts. They do a lot of branded poker cards but also offer custom card and board game production services. They prefer four-color art but will work with anything you send them, can do custom card sizes, and have an 18-deck minimum run. Much more of a full-service print and production house, but they might be an option for late-stage playtesting or short production runs. Tell me a good contact person at Admagic. I need playing cards made with in. The next 3 weeks. Thanks so much for these great tips! Hey Jamey (and/or Michael), may I ask about how many review copies you typically send out to third party reviewers and if you send a separate copy to each one or is it kosher to ask the reviewers to pass it along (you paying the shipping cost, of course)? They’re probably super-busy and don’t want an extra chore to go along with reviewing your game. I’m planning out this process at the moment for my upcoming Kickstarter, and I was thinking of getting 6 copies made (most likely through P&PP), but the costs are getting pretty high, given the large number of components in the game. $50 per box isn’t prohibitive for me, but I’m just wondering if there’s a more cost-effective way to do things. Isaac: Just to clarify, you’re talking about review prototypes for third-party reviewers during the Kickstarter campaign, correct? I can tell you what I’m doing with Tuscany, which costs about the same as your prototype (Michael can speak to that for Otters, which did not cost as much to prototype). I’m sending out a total of four review copies. Three of them will stay with their reviewers. They other three will get passed around. I actually only planned on sending out the three, because I don’t like to ask reviewers to pass around review copies (most of them are fine with it, but it’s a bit of a nuisance). But I ended up having an extra copy of the prototype and multiple reviewers in mind for it. So, for you, I would recommend targeting 3-4 reviewers and letting them keep the prototypes. 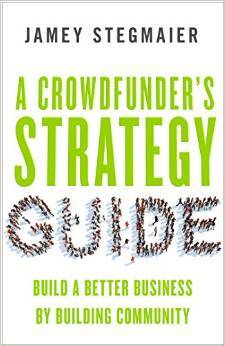 You really don’t need 20 reviews–you just need a few unbiased opinions for backers to tap into. Thanks! Seems like a sound recommendation. I will likely print up 3 for reviews during the campaign then and make 1 for a local reviewer who can hopefully do something before the Kickstarter begins. Excellent article and comments with a lot of information on prototype manufacturers. I am looking to print a farming card game and minimize low-environmental impact. Would recycled card stock be an option for any manufacturers you have come across? That’s a great question. I’m not aware of that possibility, but it’s certainly worth asking manufacturers when you approach them for quotes. While I’m very, very new to this, I got a prototype of a card game made on makeplayingcards.com. I wanted round cards (it’s a cookie-themed game, so the cards look like various types of cookies), and they turned out very professional looking. It may not be useful for mass production, but on an individual basis, I was very happy. That’s great to hear, Mark! I didn’t even know round cards were an option. Very cool. Apologies if this has been answered elsewhere. Many Kickstarter campaigns are at least partially in place to fund artwork for projects, correct? When in that nebulous zone where one doesn’t have all their art lined up and paid for, but needs to send out prototype copies for review, what tends to be the standard approach? Clearly, reference artwork (such as you might use when playtesting with a local group) wouldn’t be an option, but do most people just leave the art box blank if it’s for something that is unfinished? There seems to be a lot of focus on having a good-looking prototype, so having unfinished art seems counterintuitive. Josh: I typically like to have my artist create sketch versions of the art for the review prototypes–something that looks decent on camera but is far from final. It often takes an artist only 10 minutes or so for a decent sketch, but many hours for a highly refined final piece. Great suggestion. Thanks, Jamey! As usual! I would like to give another thumbs up to the Game Crafter. Their products and services have come along way since they started. At the beginning, you had to upload files one at a time and it was slow. Now you can bulk upload files super fast. The ease of using their system and their high quality product makes them my go to for high quality prototypes. Thanks for the tutorial on printing on blank cards, we may have to try that some time! One thing we’ve done is use color sharpies to write/draw on blank cards. It takes a bit of time but works well for making simple, durable cards for playtesting. We’ve also been able to make pretty nice tiles by printing on card stock and then laminating it with a thermal laminator. This is pretty quick if you don’t need rounded edges. It’s probably too thick for cards though, would be hard to shuffle. I have been very happy with Print & Play. Their turn around is fantastic, prices are fair, and quality is good. Sorry if I missed it in the article, but do you review unsolicited games? I could do with a review of you have the time. Thank you. If you change you mind and ever get 15 minutes spare with a friend, let me know! Here’s a comprehensive list if you’re looking for a reviewer. There are plenty of them! Great insight on prototyping! For some reason I’ve never tried the sleeve with another card approach before, though I’ve seen it done. Printing directly to blanks myself always seemed like way more work for what its worth, but I might have to try it out! I have definitely had my fair share of index card prototypes though. Then usually it’s right up to The Game Crafter from there once proof of concept is established. TGC has been an excellent resource, not only in the wide variety of products they can provide for your game, but their customer service has proven to be great in my experience as well. They’re a bit pricey, but as far as one-off printing, I definitely recommend them! Note that DriveThruCards now does offer custom tuck boxes. And their customer service is still amazing. I’m looking for POD services to make my review copies and this helped a lot. Thanks!